The US-facing Merge Gaming Network has added New Jersey and Delaware to the list of states from which it will no longer accept poker business. 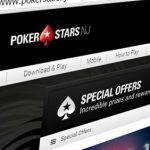 Last Thursday, players on prominent Merge sites like Carbon Poker reported receiving emails stating that their accounts had been “banned as per restrictions in your state.” The move applies to both new and existing accounts but is reportedly not a network-wide phenomenon, as PokerHost – which operates its own cashier separate from Merge – has told its players in those states to expect business as usual. Merge already restricted players from a half-dozen states including Washington and New York, where online poker play is expressly illegal. 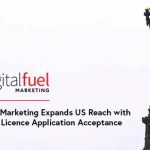 Merge began excluding Nevada-based players shortly after the state-licensed Ultimate Poker launched last April and the latest exits follow launches of regulated online gambling in both Delaware and Jersey late last year. 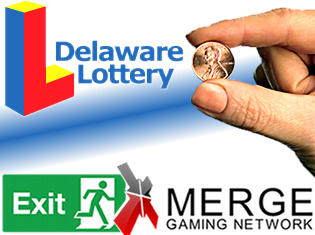 While Delaware’s fledgling online poker operations will likely appreciate any decrease in competition, Merge’s exit isn’t likely to improve the state’s overall online fotunes anytime soon. The Delaware State Lottery released its first online revenue figures this week, showing a paltry $253k earned over the first two months since online gambling launched at the end of October. That pales in comparison to the $7.4m New Jersey earned in December alone, but Delaware has 1/13 the population of New Jersey and, unlike New Jersey’s multi-operator system, is limited to the state-run offering powered by Scientific Games, Williams Interactive and 888 Holdings. The $125k monthly average online revenue makes the state’s annual revenue target of $5m seem about as realistic as Jessica Simpson ever again fitting into her Dukes of Hazard bikini. 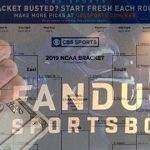 Worse, the three Delaware racinos – Dover Downs, Delaware Park and Harrington Raceway – that operate branded web portals accessing the Lottery’s online system won’t collect a penny themselves until annual online revenue tops $3.75m. The casinos could use the boost, as last year’s statewide casino revenue total was around $435m, the smallest total in 13 years and down nearly 20% from 2012’s total, mimicking the phenomenon reported across many US casino states last year. By year’s end, the state had registered a mere 4k online accounts and December’s total signups were barely half November’s figure. 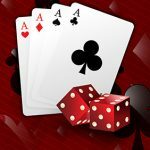 Poker accounted for around $176k of the two-month total revenue, easily outstripping the $45k earned by casino table games and $31.5k in video lottery earnings. Poker also was the lone vertical to improve its revenue from November to December, rising from $69k to $107k. 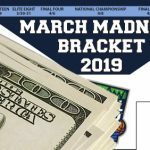 As in New Jersey, Delaware is having a tough time convincing banks and credit card companies that online gambling financial transactions are legit and won’t incur the wrath of federal regulators. Geolocation issues are also much more pronounced in Delaware, where it’s difficult to find yourself not within spitting distance of Maryland, New Jersey or Pennsylvania’s borders. But even when those problems are remedied, it’s clear that Delaware is going to have to revise its online expectations.